The new Broadway musical The Band's Visit has been named the 2018 Tony winner for Best Musical! The announcement was made on June 10 at Radio City Music Hall. The other nominated shows in the category were Mean Girls, Frozen and SpongeBob SquarePants. "Ten years ago I was captivated by Eran Kolirin's deceptively simple film about love and hope and faith," said producer Orin Wolf in his acceptance speech. "Watching David Yazbek and Itamar Moses and David Cromer and entire team mount this thing onstage has been one of the greatest and most rewarding experiences of my life." 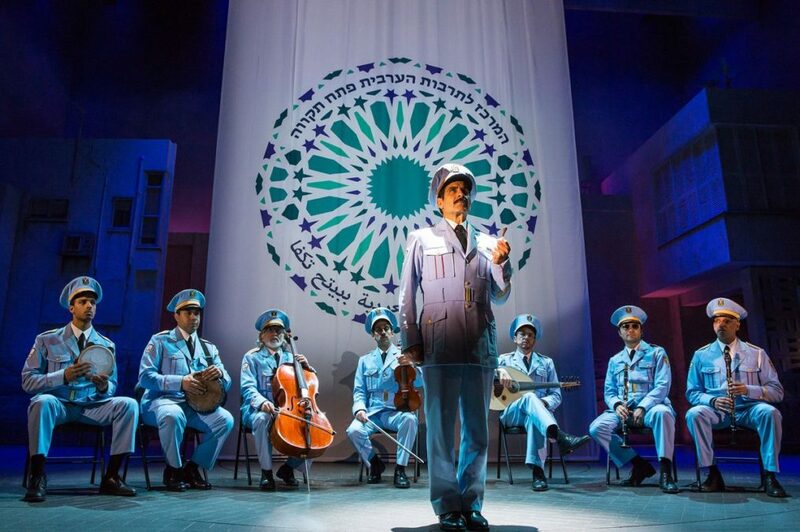 The Band's Visit is based on Kolirin’s 2007 film about an Egyptian police band that arrives in Israel to play a concert. After a mix-up at the border, they are sent to a remote village in the middle of the desert. With no bus until morning and no hotel in sight, these unlikely travelers are taken in by the locals. Under the spell of the desert sky, their lives become intertwined in the most unexpected ways. The Band's Visit features a book by Itamar Moses, a score by David Yazbek and direction by David Cromer. The show began previews on October 7, 2017 and officially opened on November 9, 2017 at the Barrymore Theatre. The musical's Broadway run follows an acclaimed world premiere run at off-Broadway's Atlantic Theater Company. Hats off to the company of The Band's Visit on the big triumph! Check out show clips from the winning tuner below.